Laura Comfort's latest release is the single - Little Wing. When you cover songs especially one by iconic musician Jimi Hendrix you have to either get it spot on or make it your own. 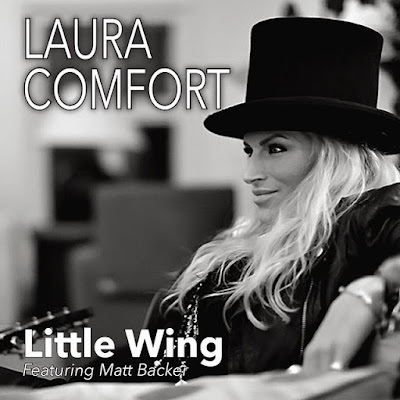 The version Laura Comfort has recorded with the talented international rock guitarist Matt Backer has achieved both in their quest of perfection of Hendrix's song Little Wing, containing references of American Indian spiritual themes. Little Wing is available at iTunes.